consists of representatives from Churches, Faiths and National Associations. It is rooted in Christianity, as expressed in European Cultures. to work for the development of professional guidelinesrequired to minister to the existential and spiritual needs of patients, relatives and staff, drawing on personal, religious, cultural and community resources. 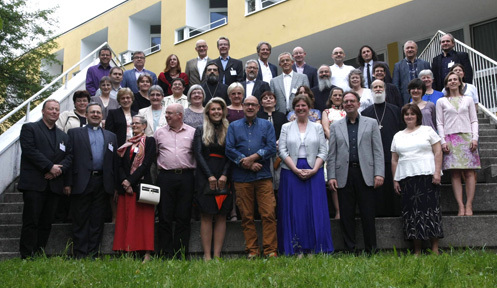 to promote a high quality standard of Health Care Chaplaincy in Europe.